Planting, I mean “Planning” your Vegetable Garden! Interested in learning more about the various activities required for a successful home vegetable garden? If you said “yes,” then you’ve come to the right place! A well planned and a properly cared for garden can provide considerable food for family use from a small plot of land. Most home gardeners agree that “home grown” vegetables, freshly harvested, prepared, and eaten are the ultimate in fine vegetable flavor. Fresh or preserved homegrown vegetables can help reduce family expenditures for food and make a valuable contribution to family nutrition. Vegetable gardening can be an educational and fun activity for all individuals, families, and communities. You can create real-life experiences and connections between gardening, health, cooking, food preservation, local foods, grocery stores, farmers markets, and community kitchens. Good gardening results can be shared with others through vegetable exhibits at local, county, and state fairs. Gardeners find these activities exciting, fun, and challenging. The “Favorite Fives” for a Successful Home Vegetable Garden! Location – A good location provides adequate plant exposure to sunlight, fertile and well-drained soil, a nearby source of water, is close to the house, and is appropriate to the service area of the home landscape. Soils – Vegetable plants grow best in a fertile, well-drained soil of loamy texture. However, most gardeners do not have such soil. Don’t overlook the aspect of soil preparation as less desirable soils can be modified with soil conditioners such as peat moss, compost, sawdust, or other available organic materials. Garden Size – The garden should not be so large that the crops fail to receive proper care. Often times more high quality vegetables are obtained from small, well cared for plots than from large, neglected gardens. Don’t have any available ground? Don’t forget about container gardening and/or community/rent-a-garden space. What to Grow – More than 40 different vegetable crops can be grown in Ohio. If you’re from another state or location, check with your local cooperative extension service and/or agencies to see what’s available to you. The choice of crops depends largely upon the needs and tastes of the family and the amount of available growing space. If space is limited, consider planting crops that will be more productive. The Fall Garden – Late summer or early fall plantings of vegetables that make rapid growth and mature crops before extremely cold weather sets in will enable the home gardener to extend the gardening season and get best use of the garden area. Please refer to an excellent publication titled “Planning for the Garden” by Rory Lewandowski, Extension Educator, Agriculture/Natural Resources, Wayne County Ohio State University Extension. Planning for the Garden. Rory Lewandowski, Extension Educator, Agriculture/Natural Resources, Wayne County Ohio State University Extension. Ohioline. Ohioline is an information resource produced by Ohio State University Extension. Through Ohioline, you have access to hundreds of OSU Extension fact sheets covering a wide array of subjects such as agriculture and natural resources, family and consumer sciences, community development, and 4-H youth development. Food Safety in Gardens. Sanja Ilic, PhD, Assistant Professor and Food Safety State Specialist, Department of Human Sciences, Human Nutrition and Melanie Lewis Ivey, PhD, Assistant Professor, Fruit Pathologist, Department of Plant Pathology. Okra – It Isn’t Your Grandma’s Vegetable Anymore! Have you had a bounty of okra in your garden this summer? My co-workers have had great luck with the okra they grew – evidently the plants like the heat and extra rain we had in Southern Ohio. Because of their bountiful okra harvests, we have had a number of discussions of recipes and how to prepare this vegetable that you may not be as familiar with as others. Here are some okra basics. 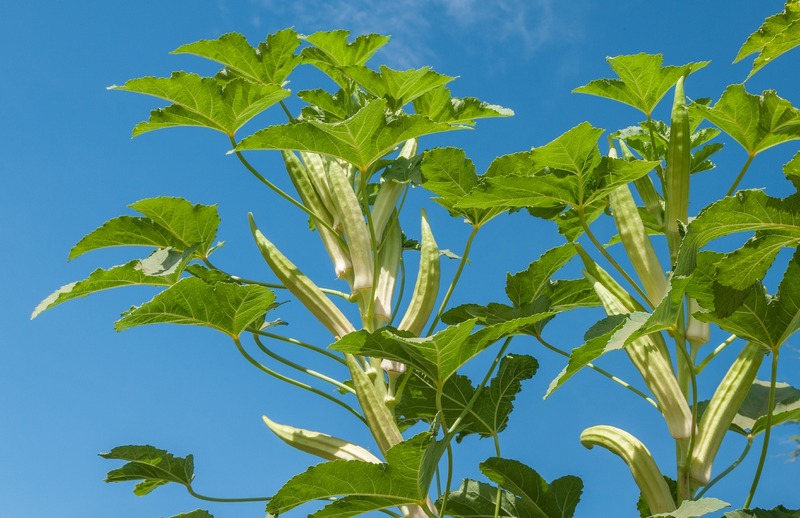 Selection – okra pods are best when they are small to medium in size, about 2 to 4 inches long and bright in green color. Storage – the pods can be stored in the refrigerator for up to 3 days. For best storage, refrigerate unwashed (but dry) okra pods in a vegetable crisper. They may be loosely wrapped in a perforated plastic bag. The ridges and tips of the pods will turn dark, which indicates deterioration and need for immediate use. Freezing for Longer Storage – By water blanching okra for 3 minutes you can hold the quality when freezing. Start by carefully washing, then lower okra into a pot of boiling water for 3 minutes. Use a metal blanching basket if you have one. Immediately plunge blanched okra into an ice bath for 3 minutes and carefully dry. Package into freezer containers and date. Okra can also be pressure canned, follow this link to more information on that process OKRA. Nutritional Value – 7 okra pods = a 25 calorie serving. They contain no fat or cholesterol, and are very low in sodium. They have 6 grams of carbohydrate and 3 grams of fiber. You can also get 30% of your Vitamin C for the day, as well as some folate, and magnesium with okra. How to Prepare – while there are a number of ways to prepare okra, several popular choices are roasted, grilled, or with tomatoes. Here is a link to several from the USDA Mixing Bowl – go.osu.edu/okra. The Italian Vegetable Medley with Okra, the Spicy Okra, or the Veggie Stir-Fry with Okra look like great ways to clean out the end of summer produce in your garden or to use up wonderful Ohio produce from the Farmer’s Market. 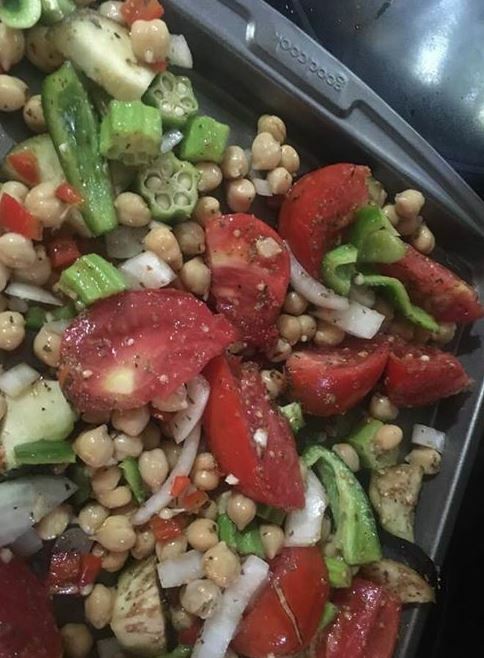 Leave a comment below to let us know your favorite okra dish, especially something creative like the roasted okra, tomatoes, peppers, onions, and beans with olive oil and mixed herbs that my co-worker fixed this week. National Center for Home Food Preservation, https://nchfp.uga.edu/how/can_04/okra.html. Photo credit: Debra Calvin, Program Assistant, Ohio State University Extension, Ross County. Writer: Lisa Barlage, Extension Educator, Family and Consumer Sciences, Ohio State University Extension, Ross County. Reviewer: Tammy Jones, Extension Educator, Family and Consumer Sciences, Ohio State University Extension, Pike County. Spaghetti squash is a vegetable that can be used in place of traditional spaghetti pasta with your favorite sauce. It is full of folic acid, potassium, beta carotene, fiber, and Vitamins A and C – with a one cup serving coming in at 42 calories, versus the almost 200 calories a traditional cup of pasta contains. Spaghetti squash is an oblong winter squash that is ivory-yellow in color and weighs 2 to 3 pounds. A mature squash will be 4 to 5 inches in diameter and about 8 to 9 inches long with rounded ends. When selecting squash, look for a hard rind, free of bruises, and heavy in comparison to others. Squash can be stored at a mild temperature (50 – 60 degrees) for up to 6 months. To prepare spaghetti squash, cut the squash in half lengthwise, and scrape out seeds. Place cut side down on a roasting pan in a 375 degree F oven for 45 to 60 minutes. Hull will be soft to the touch and beginning to brown when ready. Let cool about 30 minutes and spoon squash strands out, separating to form spaghetti like strands. Microwaving is also an option – place cut squash in a glass dish (cut side down) with ½ inch of water and microwave for 10 to 12 minutes. Cool and remove squash strands. Try serving your spaghetti squash with a Roma tomato sauce or your favorite jar sauce for a quicker meal. Ohio State University Heart Hospital has a wonderful Oven Roasted Spaghetti Squash with Roma Tomato Marinara if you are looking for an option. To see a video of how to prepare spaghetti squash go to http://go.osu.edu/spaghettisquash. Let us know your favorite way to eat spaghetti squash! Reviewer: Michelle Treber, Extension Educator, Family and Consumer Sciences, Ohio State University Extension, Pickaway County. We are entering that wonderful time of the year when local farmers’ markets are open, roadside stands pop up and even local grocery stores offer plentiful displays of fresh, local fruits and vegetables. With all of this bounty, sometimes the question arises on how to choose the most flavorful, ripe product. You will want to choose fruits and vegetables at the peak of their freshness for the best flavor and nutritional value. Look for fruits or vegetables that have the shape, size and color that are usually thought of for the item. Remember though, they don’t have to be perfect to be good! That tomato or pepper that is slightly misshapen should be just as tasty and nutritious as its perfect neighbor. Avoid fruits/vegetables with obvious bruises or discoloration. These spots will spoil quickly. If you notice a spot after you bring the produce home, cut out the bad spot and use as soon as possible. Feel the item. If it is very soft it may be overripe; if it is too hard, it hasn’t ripened enough to eat yet. Melons can be especially difficult to choose. Here is great information on choosing ripe melons. Smell! Fruits/vegetables that have the characteristic aroma associated with the item should be ready to eat. Think fresh peaches! Not all vegetables and fruits will continue to ripen once they have been harvested. Tomatoes, unripe melons, and tree fruits such as pears, peaches and nectarines should be kept at room temperature to ripen. They will get sweeter and more delicious. Grapes, berries, and cherries won’t get better while sitting out, so they should go into the refrigerator right away. Other fruits, like citrus, could sit out for a day or two but then should also be put in the refrigerator. Most vegetables should be refrigerated when harvested or purchased. Some exceptions would be onions, garlic and potatoes. Don’t forget about food safety with your fresh produce! Always wash your fresh produce before using. Some fruits and vegetables are better stored in the refrigerator before you wash them. Items such as beans and berries are more likely to spoil if stored damp. Be sure and brush off as much dirt as possible before storing. Place them in bags to keep them from contaminating other food in your refrigerator and them wash well when you are ready to eat them. All produce should be rinsed under cool running water. Do not use soap or bleach as the residue left on the produce could make you ill. Fruits and vegetables are an important part of a healthy diet. By buying fresh, seasonal items at the peak of their freshness and having them available to eat makes it easier to incorporate them into our daily diet. Oh my! My finger is broken?? My Reminder to Make Time for Health! I had a recent health issue that reminded me to pause and take time for my health. My knuckle on my right hand hurt and was swollen. Yes, it bothered me every day but I did not think too much about it. I saw a bone and joint specialist and they took x-rays. I was to follow up with them but a different health scare (which required a minor surgery) became the priority for me. That health event turned out fine and I moved on with my life. The holidays came & went and I still had discomfort in my hand. Fast forward to a visit with my primary care office. I mentioned my finger was still bothering me. The nurse practitioner looked in my test results and said, “No wonder it still hurts, your finger was broken”. I went back to the specialist and they buddy taped it to my other finger. My finger feels better but it is still swollen and I tape it most days. I will follow up with the specialist next week and will see the next steps. Why do I share this story? Because even though I spend part of my workday promoting health and wellness through my job as a Family and Consumer Sciences Educator, I missed an important health event in my own life. I decided to share this story in hopes that you will make time for your health. What can we do to improve our health? Eat more veggies and fruit. Research tells us that eating a diet rich in vegetables and fruits may help prevent chronic diseases such as cancer, diabetes and heart disease. Move more. Aim for 30 minutes of moderate physical activity most days of the week. What if you think you don’t have time for 30 minutes? Break it up into 10-minute segments. Add variety to help keep it interesting. Get a family doctor. Center for Disease Control and Prevention fast stats tell us that nearly 88% have a place to go for medical care. That is awesome news! If you do not have a primary care doctor, I would encourage you to get one. They get to know you, your body and illnesses and can assist you in maintaining your health status. Do not ignore your body signals. Just like my broken finger, do not ignore signals from your body. My sister survived a heart attack – even though she had chest pain, she thought it was from her breast cancer reconstruction surgery. There are other things that we can do to improve our health. Reduce stress, quit smoking, get adequate sleep, control our weight, monitor blood pressure, know our numbers (cholesterol & glucose) and get routine health screenings. Now that I’ve shared my little story, what can YOU do to “Make Time for Your Health”? Post your comments on this blog. As my family gardened this week we noticed that we have an abundance of zucchini. It’s that time of year where everyone is getting more than they anticipated and they are trying to find ways to use it up, preserve it, or give it away. When picking zucchini look for firm and wrinkle free zucchini that is about 6 to 8 inches long and 2 inches in diameter. If you are anything like me, you likely have zucchini in your garden that’s 12 inches long and 4 inches in diameter. The larger the zucchini the tougher it will be and it will also contain more seeds. These zucchini are best for baking. Scoop out the seeds and pulp, grate the zucchini and use in your favorite recipes. Zucchini have a high water content which makes them lower in calories. They provide us with vitamin C, fiber, vitamin K, riboflavin, vitamin B6, folate, magnesium, and potassium. This makes them a fantastic vegetable to eat. However, not all children are big vegetable eaters. If you are like me, you sneak them into things when they don’t notice. Zucchini bread is always a good option but if you have a picky eater like I do, the green flecks in the bread can quickly turn them away. Have you ever put it in your chocolate cake or finely shredded in spaghetti sauce? My kids don’t know it’s there and I get them to eat a vegetable! I count it as my mom super power! The below recipe is a great one to try from USDA’s Mixing Bowl recipe collection. You can also check out some of their other zucchini recipes. The big zucchini that I picked from my garden will make a lot of Chocolate Squash cake. I won’t use all of my grated zucchini before it goes bad so I will be freezing my leftovers. For proper freezing procedures please check out these safe instructions by the National Center for Home Food Preservation. Make sure you blanch zucchini before freezing to ensure quality. Eating the squash cake is not as healthy for you as eating the raw vegetable itself but we all have to start somewhere. Preheat oven to 350°F. Grease and flour a 10″ tube or bundt pan. In a large bowl, combine cake mix and cinnamon. Add eggs, water, and oil. Blend until combined, then beat with an electric mixer for 2 minutes on medium speed. Fold in squash. Add nuts if you like. Pour into prepared pan. Bake for 50 minutes to 1 hour, until cake springs back when lightly touched. Use a greased 9×13-inch pan. Bake for 45 minutes. To lighten cake, try 6 egg whites in place of whole egg. Replace 1/2 cup oil with 1/2 cup applesauce. WRITTEN BY: Amanda Bohlen, Extension Educator, Family & Consumer Sciences, Ohio State University Extension, Washington County. REVIEWED BY: Lisa Barlage , Extension Educator, Family & Consumer Sciences, Ohio State University Extension, Ross County. What Type of Snacker are You? 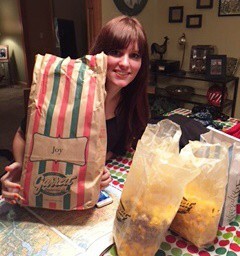 One fourth or 25% of a typical person’s daily calories come from snacking. It’s simple to see why choosing healthful snacks are important for all ages. Smart snacking can help curb hunger between meals and prevent overeating during meals. According to the NPD Group’s Snacking Research study, Baby Boomers outweigh Millennials when it comes to eating ready-to-eat snacks. Boomers consume ready-to-eat snacks 20% more often than Millennials. NPD’s research shows, “annual consumption of ready-to-eat snacks per Boomer is about 1,200, for a total of 90.4 billion annual snack eating events. Boomers tend to eat snacks versus a big meal, because many may not want to eat alone. Whereas Millennials consume the ready-to-eat snacks because they are hungry. Both groups’ top picks for ready to eat snacks were fruit, chocolate, and potato chips. Fruits are an excellent choice for snacks.They are low in calories, rich in nutrients and fiber, and can be economical especially when purchased in season from a local market. A calorie comparison was done among 20 fruits and vegetables with 20 conventional snack food items (such as chocolate, cookies, potato chips). Results showed that fruits and vegetables provided an average of 56 calories per snack size portion, compared to a whopping 180 calories for the conventional snack foods. Fruits and vegetables had three times LESS calories! Here is an easy 10 minute snack recipe that will appeal to both Millennials and Baby Boomers! It has 118 calories, 1 gram of fat, 4 grams protein and 3 grams fiber. This refreshing smoothie is a blend of papaya, banana, and yogurt and makes a satisfying part of breakfast or any time of day. Mix in frozen or fresh berries for a variety of flavors. Put all the ingredients in the blender. Put the lid on tightly. Turn the blender to a medium setting and blend until the ice is chopped and the mixture is smooth, about 1 minute. Serve right away or cover and refrigerate up to 4 hours. 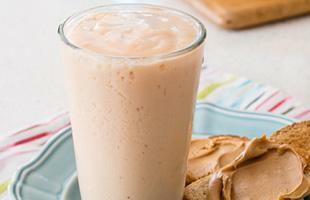 One cup of low-fat milk, soy, rice, almond or coconut milk can be used instead of yogurt. Strawberries, blueberries, or raspberries can be used in addition to or instead of papaya.